I got an early run in Saturday morning and barely eked out 5 miles, it was already a sauna. I should have gotten out there earlier, I know this, but I didn't, and paid for it in sweat. Are you Amazon Prime members? We love it, mainly for the convenience of two day shipping. The Prime TV and music features are nice too but we don't use them as much as Netflix and Spotify. Over the weekend we ordered Annelise a new case for her iPod (much cheaper than what was at the mall) and she just thought Amazon Prime was the coolest thing ever. 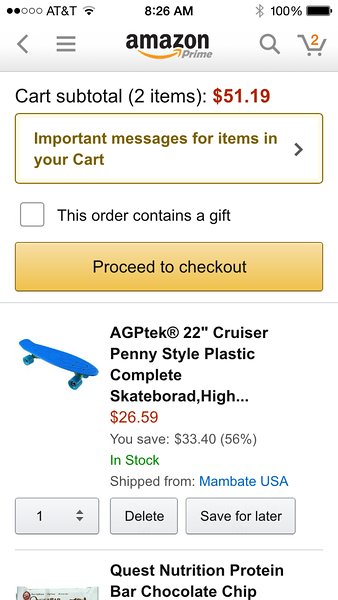 Um, no...you're not ordering a penny skateboard just because. Anyway, they can't even spell skateboard correctly so it's probably shady. 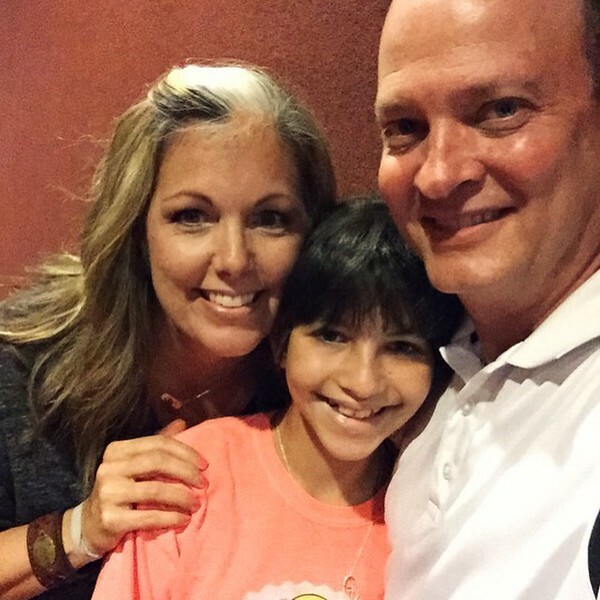 We went to see Inside Out yesterday afternoon (and took a selfie just because). We gave it six enthusiastic thumbs up! Highly recommend it for all ages. I thought they did a fabulous job showing how it's not healthy to have only one emotion in control, we need a balance of all of them. It was so sweet the way they showed how joy and sadness can work together. I laughed a lot and even got a little teary a couple of times. All in all, a great movie. 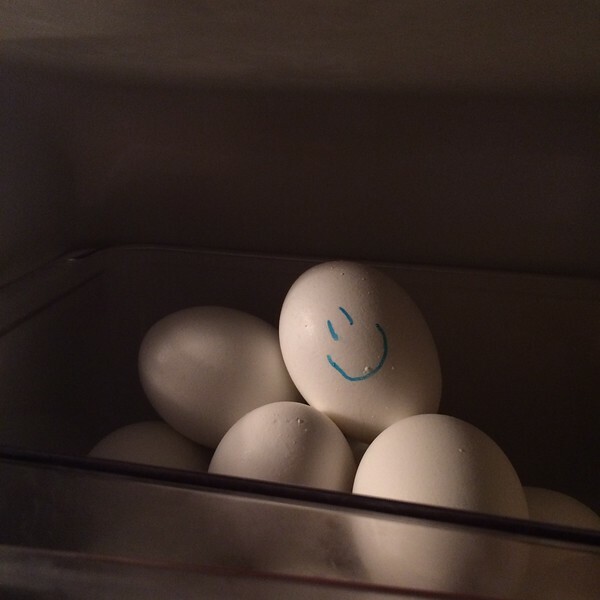 We eat a lot of hard boiled eggs around here, they're so convenient. Scott usually takes one to work for breakfast, Annelise has one in her lunch during the school year and I eat one most days for breakfast as well (usually with half an avocado and always with Sriracha chili sauce, seriously yum-ola). I'll boil a batch up and store them in the side basket shelf in our fridge. Whenever we have one or two eggs left and I've boiled another batch I'll draw on the remaining ones so we know to eat those first. Or at least I know, Scott and Annelise only noticed this last night and I've been doing it for a while. Hrumph. 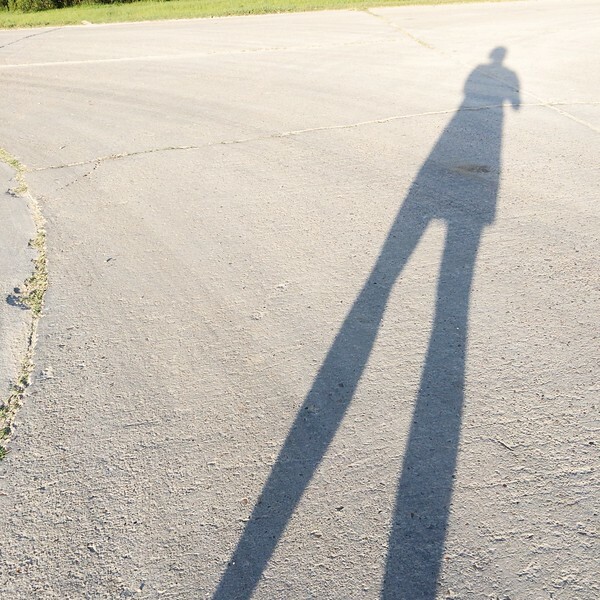 My shadow runs faster than me. 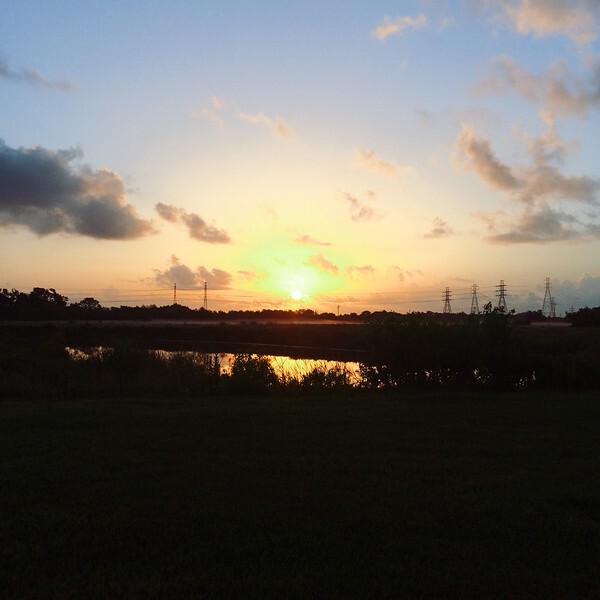 I got my run in this morning and realized--once again--that I feel so much better once I get it done early in the day instead of waiting until evening, although I still need to go even earlier, because, HOT. Sidenote: I went old school with Joy and Pain by Rob Base and DJ EZ Rock on my play list and thought it was totally appropriate for running. It also reminded me of Inside Out (a little). In other running news, I'm now at 23 miles and will keep chipping steadily away at my #60milesinjuly goal. My plan is to get four weekday runs in and a slightly longer run over the weekend, fingers crossed. The other part of my plan is to get back into PiYo regularly for flexibility and strength and to balance out all the running. I did the Sweat workout today and immediately felt looser through my hips and legs and wobbly in my arms, because PiYo, while low impact it's still an intense combo of Pilates and Yoga. The sweat flows, yo'!